Buenos Aires was a city I already loved even before visiting. Whenever I thought about it, I conjured up romantic images of quaint French style buildings, cobblestone streets, cute sidewalk cafes, and heavenly delicate pastries. I mean, come on, it’s Paris of the South… what could go wrong? What WOULDN’T I dislike? Yep, I was not wrong and Buenos Aires had all those things and more. The Palermo neighborhood we stayed in had quaint French style buildings aplenty. We walked on the cobblestone streets of San Telmo. We dined at cute sidewalk cafes almost daily. And we snacked on the most delicate of pastries, pies, and cakes. And they were all absolutely heavenly. But I was wrong. Something was wrong. I never fell in love with Buenos Aires, as I did many times over in my daydreams. Sure, there were aspects I loved, but I couldn’t fall in love (no matter how much delicious cake I ate). As I reflect back to my time in Buenos Aires, I see it as a semi-fail mainly due to a few reasons. To be completely honest (even if it gets me haters), the #1 reason I couldn’t fall in love with the city is because I felt like the locals were really unfriendly. Simple as that. I hate to compare countries (because I truly believe each country is unique in its own way), but after our month-long stay in Santiago, Buenos Aires was a poor follow-up. I admit that the abundance of delicious desserts and having hot water in our rental were a definite step-up, but the people aspects came up lacking. While Santiago was warm and inviting (from the cab drivers to the ladies at the food stalls), I found Buenos Aires to be cold and distant. Where are the smiles?? The other residents in our building passed us with wary glances, and waiters served us with stoic expressions. No one said hi or smiled or exchanged pleasantries. People went about with an air of arrogance and nonchalance. I’m not saying everyone was like this, but this was the general feeling I got. Of course, this could very well be because of the massive inflation going on. Oh, and that little fact of Argentina being on the verge of a financial crises. Everyone’s just not happy, and life is hard. That pretty little waitress, no doubt, cannot even afford the food that she’s serving you. But still, if I’m sitting down and paying for mandatory table service at a semi-pricey restaurant in the super lux part of town, I would really like her to not roll her eyes at me, even if my attempt to speak Spanish is pathetic. This one is hard to explain, because it’s not like that anyone was outright rude… maybe just more like aloof. It’s just one of those gut feelings. Simply put, I never felt at home here in Buenos Aires. At best, I felt like an outsider, never fitting in. And at worst, like an unwelcomed foreigner. I think if I were in BA for a week, instead of a month, I probably wouldn’t have noticed this as much… I probably would have filled my days with touristy sightseeing activities, and stuffed my face with meat and cakes. And I probably would have thought BA was a pretty cool city. But that wasn’t my case. I was there for a month and the poor attitudes of the locals quickly wore on me. We stayed in the upscale Palermo Nuevo residential neighborhood (because strangely, the rent was actually ridiculously cheap). Here, well dressed women strut around toting their designer bags and their immaculately groomed, sweater wearing, pure-bred pups. Here, doormen stand inside of marbled lobbies, looking after the residents of the posh luxuries apartments. Here, it is safe and nice, but does it sound like we fit in?! There are virtually no tourists here. 100% locals (at least when we visited in late fall/early winter). Normally, I would have been ecstatic to be in an all-locals area, to do what the locals do, to live how the locals live. But I can’t help but wonder if this also meant that we stuck out like a sore thumb. This isn’t to say I didn’t find anything to love here. I did love the hole-in-wall empanada shack, and we visited it often despite the owner’s grumpy disposition. I did love the corner French café, where I had the best lemon meringue pie of my life. And dining at La Josephina, the only parrilla in our neighborhood, was always an enjoyable experience, mainly due to our friendly server, Sebastian (the one shining star of my interactions with locals). Which is probably why we ate there frequently, despite the fact that it was one of the priciest restaurants around. He almost made up for the weirdness of everyone else, but try as he might.. he couldn’t quite. I wonder if we had stayed in the historic/downtown district, would the locals have been more accepting of tourists? Would they be friendlier there? Another downside of this area was that there wasn’t much to do aside from local restaurants. We had to walk at least 30 minutes somewhere, or take a subway to go any of the major attractions. I think to some extent, we would have had more fun if we were downtown in Monserrat or San Telmo (because I LOVED staying downtown in Santiago). But then again, would it matter if the people weren’t friendly there either? I guess I’d never find out. Nevertheless, after this experience.. I think that – do I dare say it? – I definitely like staying in the touristy parts of town, especially if visiting for the first time. 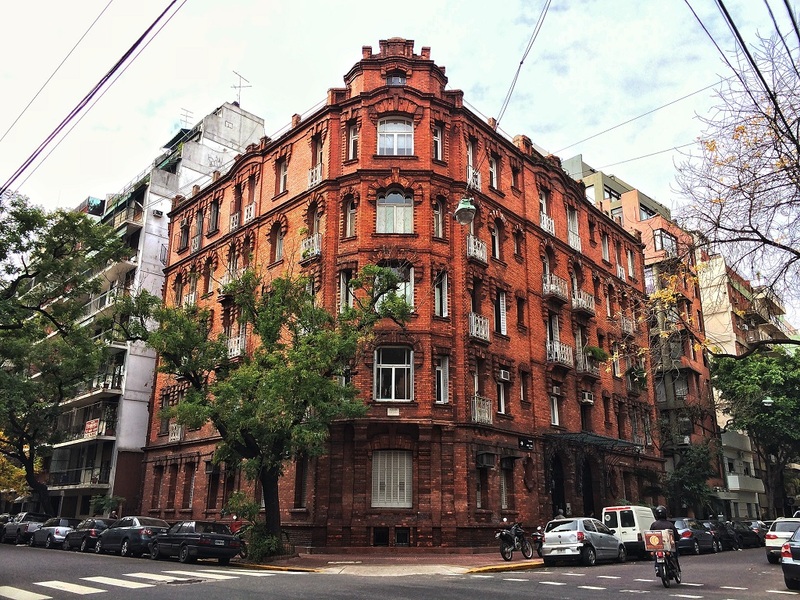 Buenos Aires isn’t a city with a lot of must-see attractions and must-do activities. Rather, the real experience of the city lays with the culture and its people. But what happens when you don’t feel warm fuzzy feelings towards the people? After a couple of weeks of being here, and never having truly positive, happy experiences, I grew lackluster, and it was hard to muster up excitement to do anything. That, combined with D having to work a lot this month and experiencing on-and-off rain, we ended up staying around our neighborhood a lot of time. And I acquired a new hobby of snuggling in bed all day. So I can take the blame for this, but I stopped feeling motivated to plan anything. We didn’t take full advantage of the time we had there. I know we probably missed out a lot of the things that the city has to offer. Maybe we could have taken a trip to Tigre Delta, or gone to another nearby city. But I didn’t plan and sadly, didn’t even know we were missing out on those potential activities. But do I really regret that? I don’t think so. Because honestly, I don’t feel a desire to go back and do the stuff I missed. In the end, I realized it all came down to this: I can’t love a city where the people are unfriendly. So by the end of a month in Buenos Aires, my thoughts were: I’ve seen everything I’ve wanted to see. I’ve eaten everything I wanted to eat. Time to move on. Even though I didn’t have the best of times in BA, do I regret visiting it? Not at all. Each destination provides something different and I am so grateful to be able to experience Buenos Aires. But will I return? I highly doubt it. It’s for this reason that when I sat on the Buquebus, speeding towards Uruguay and watching Buenos Aires fade away in the distance, I finally felt a part of me become alive again. And by the time we had arrived, walked through Old Town, met our hosts, I was positively brimming with excitement for the next adventure. Have you been to Buenos Aires? What was your experience? This post is part of the #sundaytraveler series with Pack Me To, and don’t forget to support all the other participating blogs (links at the bottom of post)! Like what you see? Sign up to receive a curated monthly newsletter of happenings on Slightly Astray. No spam ever! It’s like that in most big touristy places. If you visit Paris, you’ll get the not welcome vibe from Parisians too., but not from smaller French towns. I think it comes down to when people see so many tourists who are only concerned about themselves and doing their stuffed week of activities all the time instead of travelers who actually want to witness and get to know the city/culture, it becomes sort of a gripe and people start having a negative attitude about it. When I was living in Hawaii (3 years) I got to know many locals and learned that many actually don’t like the tourists (even though they won’t show it) because they believe most tourist just come to party and don’t care about them or the Islands or the Culture. So if you stay there longer, and people see your face more and don’t think “you’re just another tourist” I’m sure their attitudes will change. One thing that did surprise me was the waitress rolling her eyes at your Spanish attempt. In Paris, the locals would have loved your attempt to speak the local language and would have actually helped you out. I agree… it’s great when a city gets popular as a destination, but it’s really sad when inconsiderate tourists ruin it for all the other people who are actually serious about getting to know its culture. I think something bad always happens when a country gets popular… sigh. I know what happened to you, been reading through all the comments until you wrote you aren’t from European extraction and I checked your blog’s picture and realise you’re Asian; most Chinese and Taiwanese people living in Argentina have mini markets or convenience stores throughout the city and they never EVER strike a conversation with anyone even when they can speak Spanish, you can be their customer for ages and when you enter the place to buy your groceries you can say hello a zillion times, stand there for 10 minutes saying hi and waiting an answer and they won’t say hi back at you, they never smile, never say thank you and they’re never polite so people see an Asian person and they just don’t bother trying to be nice because no matter how hard you try it’s more likely they’ll never be nice to you. Next time in BA try to go to a park to sunbathe and if you see a group of Argentines get closer and ask them if you can join them soon you’ll feel you’re part of the group and maybe one will invite you for an asado at their house. That’s very strange. 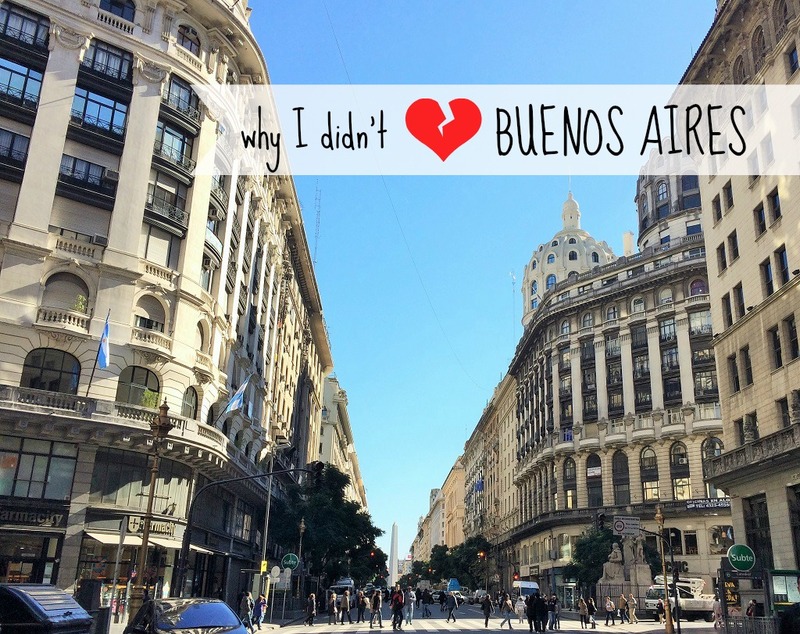 I was really interested in reading this because I LOVE Buenos Aires – my sister lived there for a year, and we had nothing but positive experiences there. It may be because we’re Italian, and the Italian influence is so prevalent in Argentina, every other person seemed to have an uncle/grandfather born in Italy, and that was the beginning of a conversation. It may be different for not Italians, I don’t know. Or it may be because of the inflation, things seem to be changing daily. Anyway, enjoy your time in Montevideo! I’m so glad you had a really good experience there, Margherita! 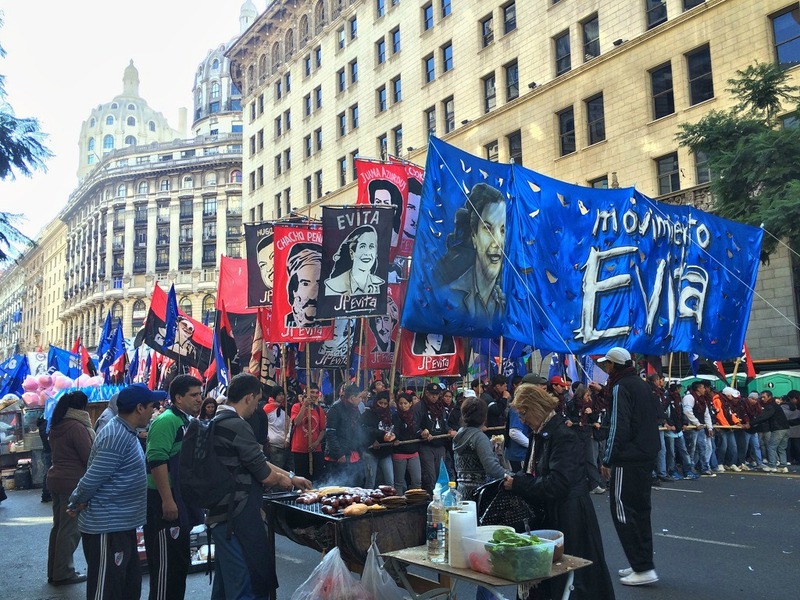 I’m sure part of my less-than-positive experience is because things are pretty ugly in Argentina right now economically, so morale must be really low. But I think a part of it is also because we aren’t European. And location did have a lot to do with it too. Either way, I’m still really happy to have experienced it! And thanks! I am loving Montevideo so far! Oh no!! Don’t say that about Paris! I haven’t been yet, but I will be there next month, and I think I really may cry if I happen to not like Paris! Thanks so much for stopping by and taking the time to read and comment, Heather! Interesting read Anna. I haven’t been to Buenos Aires, but I’ve heard so much about it and based on everyone’s account, I feel like I would really like it too. Guess I won’t know until I go myself. And about Paris from the other comments – I absolutely loved it and never felt any aloofness from the people I encountered. However, I do speak enough French to get by so maybe that is it. I hope you make it there someday to decide for yourself :). I can’t deny that it’s a beautiful city.. I don’t know why I never felt truly comfortable.. just one of those gut feelings instead of something I can explain fully. I’m glad you loved Paris! I really hope I will too! I think it’s perfectly fine not to like a place even if it is so well talked about and known. I’ve never been to Buenos Aires but it happened to me too in the past with cities like Sevilla or Cannes for instance so I understand you fully. I’m glad you understand! I’m interested in knowing why you didn’t like Sevilla or Cannes, because I always wonder what people’s reasons are for behind not liking certain cities that everyone else seems to love. What a shame you got this vibe :( It’s the people that make the places, and if the atmosphere isn’t friendly it can really put you off. But then, as you said, each country is different, and the majority will not be like this! I agree completely that it’s the people who make the place! Often, things that will stick out the most in my memories are the interactions with locals. I’m a little sad it wasn’t that way with BA, but it’s ok!! That’s weird, because I thought the same thing about the Philippines. I’m not sure if my BA experience is due to timing (when BA is on the verge of a financial crises) or our location… probably a little bit of both. Maybe we’ll return when things settle down and see if we feel differently! It’s true that buenos aires is the city of the most arrogant people of argentina, but that depends a lot on the neighborhood you stay at and the places you go and that’s why you felt that way. Don’t judge the whole city just because you stayed at Palermo neighborhood, beautiful yes but full of shallow people, just like some neighborhood in NYC. Also buenos aires IS NOT Argentina, there aré a lot of other beautiful cities with different kinds of people in argentina and i think that is the most common mistake tourist do, they only came to buenos aires and judge argentina on buenos aires. Actually i love buenos aires, the only bad thing is SOME of the people who live there, not all. Haha. Come again and Give it a new try, you won’t regret it. I will Also highly recomend Córdoba, Rosario, Bariloche, Mendoza. Thanks so much for your comment, Juan! It’s so great to hear from a local. A lot of our experience is because of where we stayed, like you said :). I was very careful when writing it to only say “Buenos Aires”, and not “Argentina”, because I completely agree that just one city is not indicative of an entire country. I really wish I was able to get out and see other cities, like the ones you mentioned, but we ended up having to work a lot and couldn’t really get out. I definitely do want to go back to the beautiful country of Argentina and explore more!! It’s kind of heartbreaking to not love a place that you thought you would. Like some others said, I kind of got that feeling in Paris as well, BUT i wasn’t there long so I still want to give it another go. Thanks for linking up to the #SundayTraveler! Finally someone who didn’t like Buenos Aires like I did! I went there for a week for a Study Abroad class during grad school, and we had a few days for sightseeing. And before I went, everyone who has been there all LOVED it! But alas, I was BEYOND disappointed when I got there and experienced the city myself. I have a gazillion reasons why I didn’t like , different from yours but it’s def. not as awsome as everyone claims it is… And I’ve also done my fair share of traveling so it’s not like I’m ‘biased’ or anything. Hi Anna (nice name ;) )! Thanks so much for taking the time to read and comment! There are definitely things I do like about it (like the million pastry shops and Recoleta Cemetery), but overall, I just didn’t have a good experience there. I think a lot of it did have to do with my location though (snobby neighborhood and far from the exciting stuff). So I’m interested to know the reasons why you didn’t like BA!! I definitely think part of it was where you were staying. I actually arrived left BA on Revolution Day to head back to the States. Albeit it was really different for me because I was staying with my boyfriend who’s a local and we did things with his friends. But he lives near Recoleta in a neighborhood called Cavachito (I have no idea if thats how spell it, all I know is it means little whores) but it was great! The people in the little grocery shops were curious about why I was there in such a truly local neighborhood and very helpful/nice. There were times that you could tell that people we’re weary of me but having someone as a local with me really changed it. 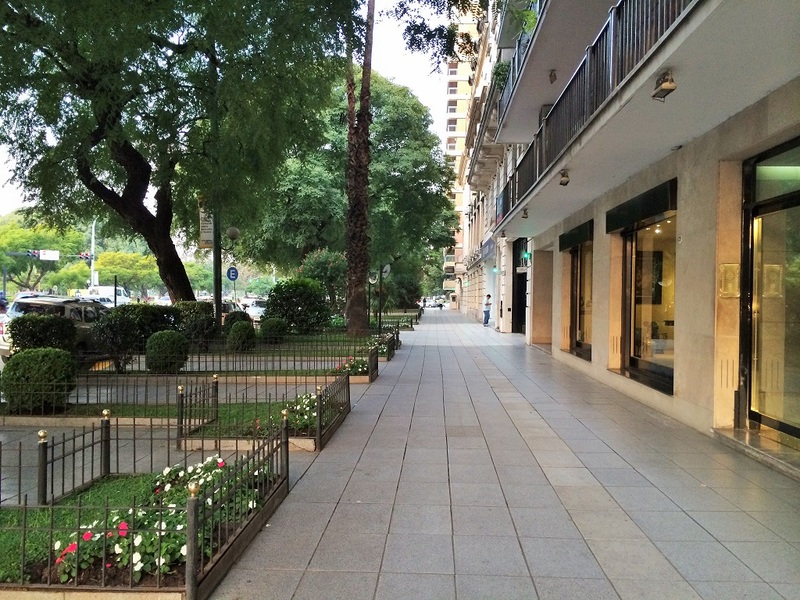 Even though we went to Palermo A LOT to go shopping it wasn’t my favorite area…it was definitely more snooty. The younger, more hip areas were cool (I felt like we were in Greenich Village in NY) and it was much more social and friendly. I think for me I would have really enjoyed having a lot more time there to explore Mendoza and do things outside of BA. Which luckily for me we’ll be venturing back to Argentina probably once a year after we relocate to the UK. I can totally understand why you didn’t like it. It would have been a VERY difficult adjustment for me if my boyfriend decided he wanted to stay. He’s local and he doesn’t even really like it…he can’t wait to get back to London. I wasn’t super in love with Buenos Aires but I also HATED Paris when I went. I love big cities in the States but I love the small towns and country sides in foreign countries. I really wish now that we had taken the time to do more too, like go to Mendoza or Rosario. I’m kinda kicking myself now for not planning to go to those smaller towns, and I know I’m not going to back there anytime soon. I’m so surprised that your boyfriend doesn’t even really like his hometown! Lol! I didn’t hate Paris when I visited, but I didn’t really like it either. I agree with you that I like the small towns and countrysides in other countries. I’m so much more of a small town girl than a city girl! He is very proud of being from Argentina but he’s in tech and spent 10 years in London and then a year in Chicago (where we met!) so he’s used to high speed internet, instant gratification and the mentalities in the UK and the US. There he struggles with things like constantly loosing internet/electricity/cell service, getting luxury items like an air conditioner plus he works with Apple products which are insanely expensive and hard to get down there. I’m totally ok with moving to London though! I got lucky finding the love of my life who gets to bring me to all these amazing places! Haha I’m just the opposite I’m a total big city girl but for some reason I just love the french countryside. And I could totally envision me and my boyfriend starting our family in the hills of Scotland or northern England with a little English Cottage! Yeah!! We were there at the same time, and I remember it was cold and I was wearing jeans and sweater and boots everyday!